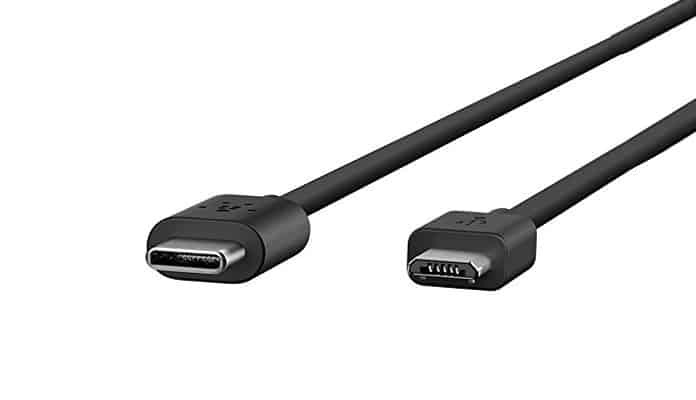 USB-C has gradually become the norm and this type of connector is already being utilized by laptops and desktop PCs. Its size is the same as the micro USB. This post talks about the best USB-C to micro USB adapters and cables available in the market today. 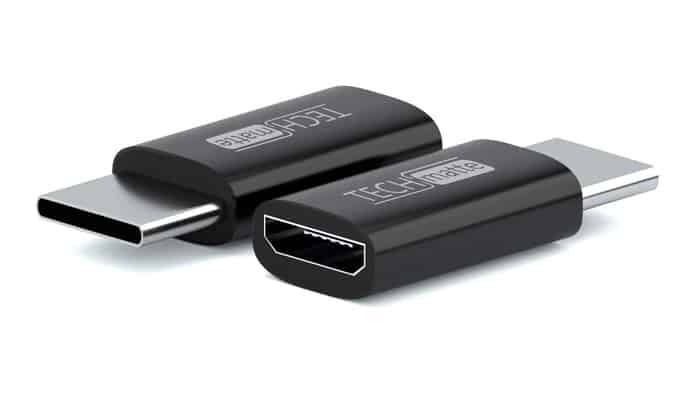 We have compiled a list of the best USB-C to micro USB adapters you can buy in 2019 and use with your USB-C device. If you want to attach a USB-C device to your computer, you’ll normally require a USB-C cable and USB-C port. If you don’t have either, this adapter might be able to fix your problem. It features a micro USB port on one end, and a USB-C connector or another. Usage is simple. The buyer just has to connect it to their USB-C device and connect the micro USB cable at the other end. Data transfer and charging both are supported, so PowerLine Adapter can be connected to a wall adapter for charging a tablet or phone. When it comes to the file transfer, 480Mbps is offered as the device utilizes USB 2.0 standard. It’s also worth mentioning that the adapter features a 56k resistor that protects the device while it is being charged. You can buy it in either white or black color for $6.99. If your tablet or smartphone is USB-C, you can use TechMatte’s USB-C to Micro USB Adapter to transfer files to your tablet or phone. It has a micro USB port on one end, and USB-C connector on the alternative one. All you have to do is connect the adapter to USB-C tablet or phone and then connect a micro USB cable to it. The adapter’s 56k resistor secures your device from high current during charge. In addition, files can be transferred to and from the computer. However, it’s important to note that the adapter doesn’t support USB OTG. That said, it’s a decent adapter, and is ideal if you want to connect a USB-C device to your computer. Its pricing is decent too. You can buy the TechMatte USB-C to Micro USB Adapter for $6.99. 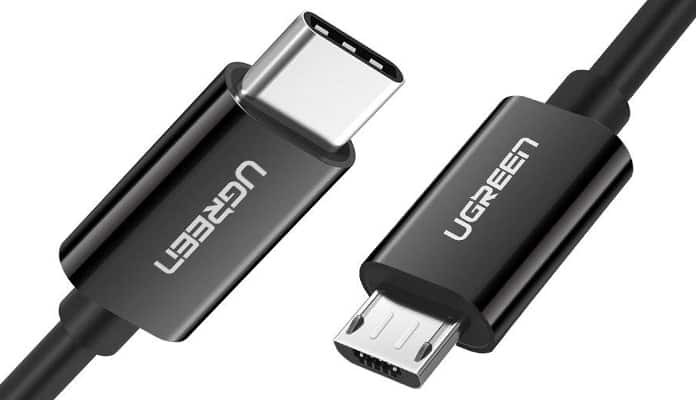 UGREEN Type C to USB Micro Adapter features a Micro USB port and a USB-C connector, allowing users to easily connect all micro USB devices to their USB-C PC. Of course, the adapter can be used to connect micro USB devices to hour USB-C tablet or smartphone. The adapter can be used for both file transfer and charging, but know that transfer speed is limited to 480Mbps. Also, there’s no support for USB OTG, so the adapter can’t be used to attach additional storage. It’s a nice choice overall and can be bought for $6.69. USB-C devices don’t have compatibility with conventional USB ports by default, but adapters can fix the issue. 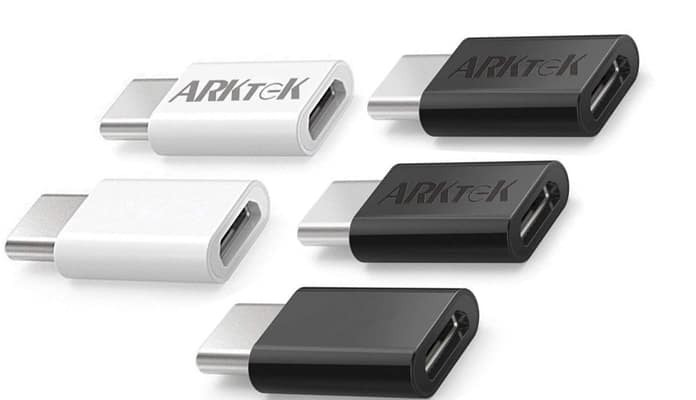 The ARKTek USB-C to Micro USB Adapter allows you to connect any USB device to your PC or smartphone. It supports both data transfer and charging. Also, it has a 56k resistor that protects the device while it is plugged in for charging. Regarding of the speed of transfer, you’ll be able to enjoy 480Mbps, which is what’s offered by other adapters as well. That said, you have support for OTG, so external storage can be connected to the smartphone with this adapter. You can buy it for $4.99. USB-A port is on one end of this connector and a USB-C connector on the alternative end. Also, the Samsung Adapter has a built-in connector for micro USB, so it can be used by the owners of micro USB cables. It enables you to connect your USB-C computer with an old mobile or connect your USB-C smartphone with a battery pack. The device is simple, but doesn’t include support for USB OTG, so it doesn’t allow you to expand the memory of your phone or connect any peripheral. Also, the transfer speed is 480Mbps. Samsung USB Type-C to Micro USB adapter is a decent buy, and retails for just $4.40. Anker is an industry-leading name in the adapters and cables industry. 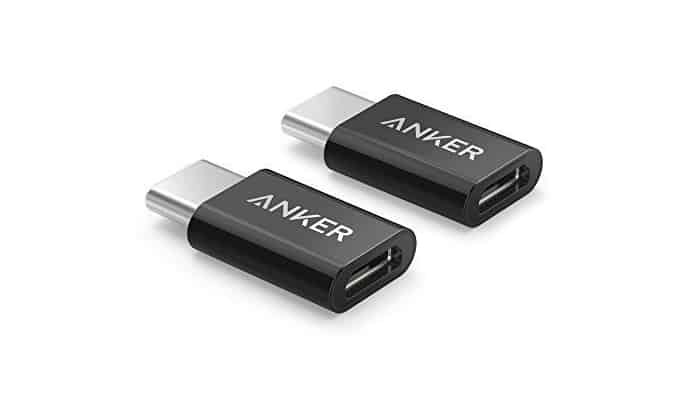 Anker’s USB-C to Micro USB cable lets you connect your micro USB device to your PC’s USB-C port. The cable can also be used to charge a tablet or phone with 2.4A current. Besides that, the cable supports file transfer at a speed of 480Mbps. 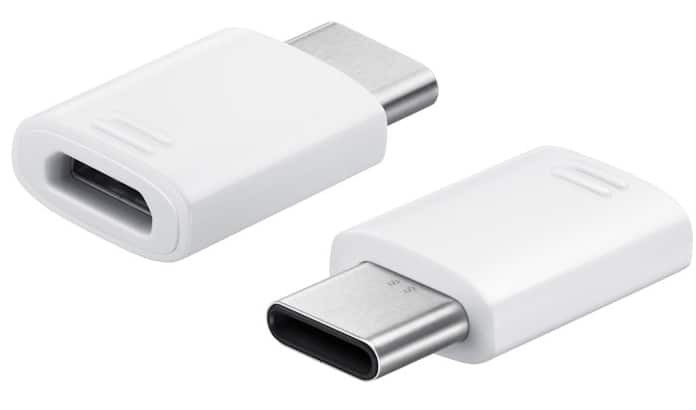 As it’s a USB-C cable, you get a reversible connector that allows you to connect the cable with your computer conveniently. It is 3.3 feet long, which should be enough for most buyers. 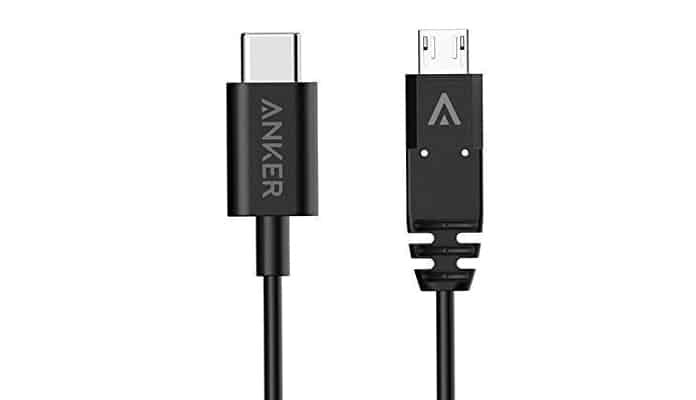 Overall, Anker’s cable should be a solid buy. It retails for $7.99. Planning to connect your smartphone to a computer with a USB-C port? You’ll need the right cable. 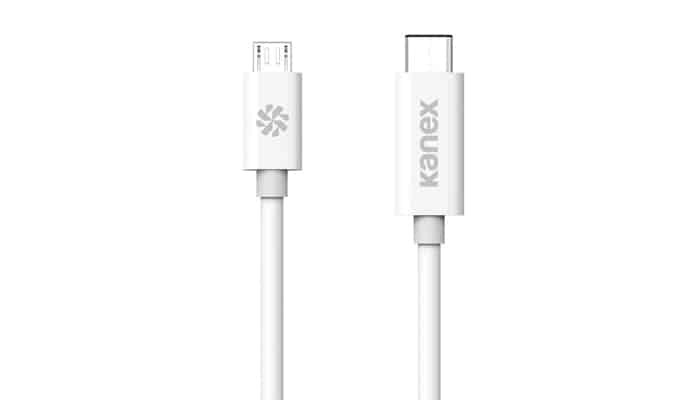 Kanex includes both micro USB port and USB-C connector, so it can be used to connect an old tablet or smartphone to a USB-C PC. It supports both data transfer (at 480 Mbps) and charging. It’s jus a normal cable that connects to any USB-C outlet. If you have a USB-C port on your PC and a device that features a micro USB port, this will be the perfect buy. However, it’s a little expensive than other cables on the list. The price is $3.88. While connecting a micro USB device to a computer is a simple process, a special cable is required if your PC includes a USB-C port. MIXIT 2.0 has a micro USB connector on one side, and a reversible USB-C connector on the other, so it can be easily connected to a PC. The cable limits buyers to 480 Mbps file transfer speed as it uses USB 2.0 standard. In addition, it offers 3A power so it can be used for charging purposes too. Moreover, MIXIT 2.0 has the capability to support Thunderbolt 3.0 port, but users are still limited to USB 2.0 transfer speed. The cable has USB-IF certification and meets all mechanical and engineering standards. And because it’s six feet long, you can attach it to the PC with ease. It’s available for $16.99. With USB-C gradually becoming popular, and the fact that several of us still use micro USB devices, we recommend considering one of these adapters to streamline your usage.